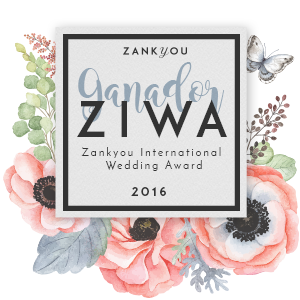 We understand how important it is for you that all your wedding guest enjoy not only your Destination Wedding but also the destination that has stolen your heart for your Wedding day. Mexico is beautiful! Full of color and activities, ask our destination specialists about the activities that all of you can do. Make of this trip and unforgettable Destination Experience for your Wedding Guests… or just some family members and besties. Try a cenote visit or a private catamaran. Visit ecological parks, archeological parks or other activities in the zone. In love with Mexican Cities? Perhaps a visit around that colonial city that has stolen your heart and has been selected as a Destination for your wedding. A city that evokes stories of Mexico’s pre-independence history, full colorful cobblestone streets, and romantic love stories. Forget about guests safety or just make them the arrival little easier. This service is perfect if your guests are traveling as a group or it is their first travel experience. What a better welcome to have private transportation with additional and personalized amenities? This will be the start of an amazing journey together and, a reminder for them of how special are they and the importance of their presence on your wedding day. Besides, they will start to enjoy their stay from the beginning. Tired of Hotel`s Wedding curfews and with the help of us, you had booked an outside hotel Wedding Venue. So, this is the perfect worry-free transfer service! We offer transportation service for your guests from and to that amazing venue. And for you, maybe, a luxury vehicle from the hotel to the ceremony or wedding venue to make a dramatic entrance! In the same way, we can provide transportation to all your wedding guest to anywhere you need. Their first trip together as a couple official must be memorable, contact us, we have several options of idyllic and romantic destinations. Beach or a city, your choice!